MyDx can test for pesticides in the food you eat, chemicals in the water you drink, toxins in the air you breathe, and the safety and potency of your cannabis samples. Kevin Jodrey of Wonderland Nursery discusses lab testing standards in California beginning in 2018 for contaminants and pesticides. 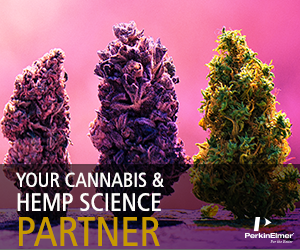 Take a look at the instruments and tools required for terpenoid and cannabinoid profiling, potency testing and safety testing like heavy metal and pesticide analysis. This panel discusses the potential cannabis has in treating cancer. A cannabis patch has been released that can treat those suffering from Fibromyalgia and diabetic nerve pain. An insight into a laboratory testing legalized cannabis. Understanding the Pharmacology of Cannabis, Dr. Ethan Russo speaks about the science of Cannabis Cannabinoids and Terpenes at the Cannabis Hemp Conference, Vancouver 2017. As the use of synthetic cannabinoids among teens increases in the UK, Addaction has released a video explaining the characteristics of the street named drug, Black Mamba/Spice. As the Canadian House of Commons decision on the Cannabis Act draws near, the 2017 Cannabis Life Conference in Vancouver discusses the impact of its legalization.